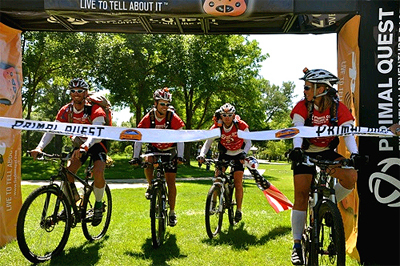 Your team is one of the “winningest” in the history of domestic adventure racing. What is WEDALI’s secret? How did the LBL race go last month? From your report, it looks like the field was strong and the win was pretty close. There were a number of awesome teams who could have won the race so the stakes were high and the pace was fast from the get-go. Fifteen hours into the race, we were still neck and neck with Bushwhacker. We could spot their green glowsticks on the paddle which gave us huge motivation to push the pace until we crossed the finish line. After over 19 hours of racing, we finished 13 minutes ahead – that’s less than a minute per hour of racing. It was a close one! What are your team’s primary strengths? One of our greatest strengths is pre-race preparation. We like to call it “strategery” as a joke, even though we know it’s not a real word. This involves a lot of planning on the front side of an event. Our other top strength is teamwork. I know it sounds cliché but it’s true. We’ve had a consistent core team since we started racing in 2003. We’ve built amazing friendships that carry us though the tough times. We race for each other and we’ve completed over 100 races with no DNFs. 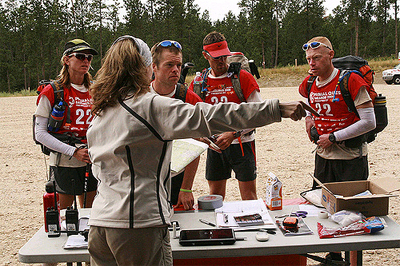 Talk about your pre-race planning — “strategery,” as you call it. One big thing is to plan your nutrition ahead of time. The top professional teams at the Abu Dhabi Adventure Challenge had their food for the six-day stage race ready before the event started, which saved them organization time every night. This equates to more sleep on a multi-day excursion, but planning like this can easily be transferred to the night before a 24-hour AR or making an in-race TA quick. What about gear? What advice do you give teams? For a sport like AR, you have to trust a wide variety of gear to get your team through a race. When buying items, look for simple construction as opposed to “technical” features. Another suggestion for any team: Buy a digital scale. Weigh everything and write its weight on the item with a sharpie. Yes, you can buy expensive gear that is lighter as well, but don’t be afraid to alter the gear you already have based on how you use it. Cut unused items off your pack like extra long straps, the loop on the top of the pack for hanging it, tags, brand patches (unless they sponsor your team!). What’s your No. 1 favorite piece of gear? My Moscow thumb compass, model No. 3. I don’t leave home without it! Other favorites are our waterproof/breathable shells from O2 Rainwear. The Original Cycling Jacket model is a no-frills, no pockets outer layer that I just weighed on my scale at 4.15 ounces (118 grams) for a size medium. This thing breathes amazingly well, but best of all, only sets you back $35. You could buy three or four of these at the same price as a leading brand’s waterproof “breathable” jacket, and you don’t have to worry about ruining your investment on your first bushwhack section. More. . . Nuun tablets are another favorite. Not only am I rehydrating and putting electrolytes back into my body, but this stuff is great for covering up iodine taste after pulling [and purifying] water from a creek or lake. Just make sure to wait the recommended amount of time for your purifier to work its magic before adding any sort of powder or tablet to spice up your water. Give us a gear tip for better in-the-race performance. Bring two pairs of shoes to every race. Nothing beats carrying a dry pair of shoes on the bike and leaving your wet/muddy ones that you used on the first trek at the TA. And don’t bring your spare pair of socks along on the next section — nothing weighs down a pack more than wet, unused clothing. Navigation is a WEDALI strength. Talk about nav. Prepare for navigation, both day and night, ahead of time. Everyone on the team should know navigation basics. Join your local orienteering club. Period. Nav is really another strength on our team. We’re consistent, and we tend to excel during long, night navigation sections. The Minnesota Orienteering Club, our home club, is a phenomenal organization run by volunteers who are passionate about orienteering and helping others become better navigators. When I joined the club in 2003, I fell in love with a new sport that required both mental and physical skills. What areas could you improve? Each teammate has strengths and weaknesses, but we could collectively improve on our paddling. 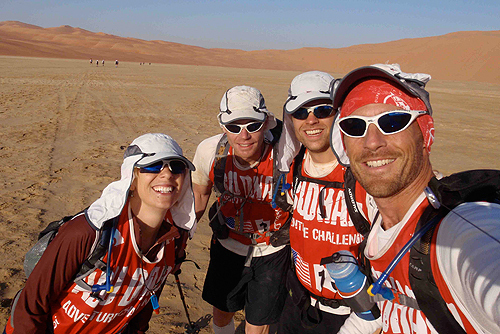 In December 2010 we participated in the Abu Dhabi Adventure Challenge, a six-day stage race in the United Arab Emirates. During a 33-kilometer paddle stage on the last day of the race we came in 37th out of 50 teams. It was humbling watching the teams from around the world paddle with such grace and efficiency. We couldn’t miss out on the LBL in April because Bonk Hard Racing puts on excellent events, and Kentucky is hosting both the 2011 Checkpoint Tracker and USARA National Championships later in October. In May, I’m heading to the southeast U.S. with two newer members of the team to participate in back to back events – the Atomic AR in Northern Georgia and the Odyssey Wild Wonderful in West Virginia. Scott Erlandson (WEDALI veteran) and I are also teaming up with Rachel and Fredrik Goransson from Bushwhacker for the multi-day Raid the North Extreme (BC, Canada) in July. We’ll likely participate in the standard Midwest AR circuit throughout the fall as well. WEDALI is organizing a race this summer? Yes, we’re excited to organize our first race this July! We’re teaming up with the Minnesota Orienteering Club to put on the 10th Annual Adventure-O, an eight-hour adventure race that features plenty of nav for all the “O-junkies” out there! Any major goals for the team in 2011 and beyond? We love racing hard and coming out on top, but our team goals are all about helping each other to do the best that we can. Since we love racing, our unspoken team goals are to race as much as possible, have fun, build friendships, explore new parts of the world, and push the pace. If we keep this in mind, we hope to have another successful season. WEDALI’s current official roster includes the Minnesota squad — captain Justin Bakken, Molly Moilanen, Scott Erlandson, and Scott Lund — as well as Iowa-based Andrea and Jason Nielsen. 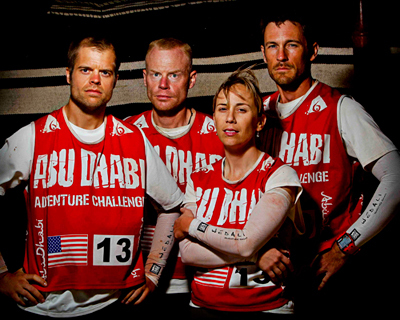 Follow the team’s blog, http://wedali.blogspot.com, to track WEDALI as they race in the U.S. and beyond in 2011.